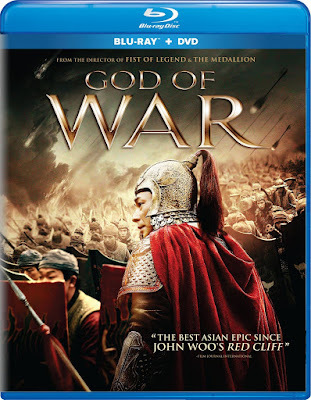 Characteristically biased in its depiction of Chinese heroism when faced by outsider invaders and heavy use of martial arts action, God of War still manages to provide enough originality in its narrative to stand apart from the dozens of other historical Chinese epics that are released each year. Although the latest addition to this popular national genre is inconsistent throughout the 129-minute run time, there are enough successful elements in God of War to make it one of the better releases in recent years. Set during the 16th century during a time when the Chinese coastline was constantly threatened by pirate attacks, God of War focuses on one general’s personal fight against the invaders. Unsurprisingly, the pirates focused on within the narrative are all Japanese, headed up by an experienced general named Kumasawa (the legendary Yasuaki Kurata). At the beginning of the film, many of the other Japanese commanders are laughing at the incompetence of the Chinese army attacking their fort, but Kumasawa has heard word of a new Chinese commander whose unorthodox methods may soon threaten them. After years of failed attempts at banishing the pirates from Chinese land, General Yu Dayou (Sammo Hung) enlists the help of a young general named Qi Jiguang (Vincent Zhao), who is able to accomplish incredible feats by breaking from the usual patterns and because of the way that he trains his men. Despite his success on the battlefield, however, the powers in charge in the Chinese army are unwilling to listen to Qi and his ideas for ending the pirate invasion. Instead, the army arrests General Yu for being the commander that allowed the changes to ordinary military protocol. The middle half of the film begins to drag as Qi fights against his own people in order to be given the opportunity to expel the pirates. When he is finally given the opportunity, the film picks up again. This is a movie that is less successful in the weary scenes of dramatic dialogue, but comes alive in the battle scenes. Much of this is due to the intelligence of the fighting methods, using tactical approaches rather than simple brute strength. This paired with the mere scope and precision of the choreography makes the battles exciting without needing to be explicitly violent or to feature over-the-top fighting abilities. There is nothing but pure skill on display, especially in the final one-on-one fight between Qi and Kumasawa. 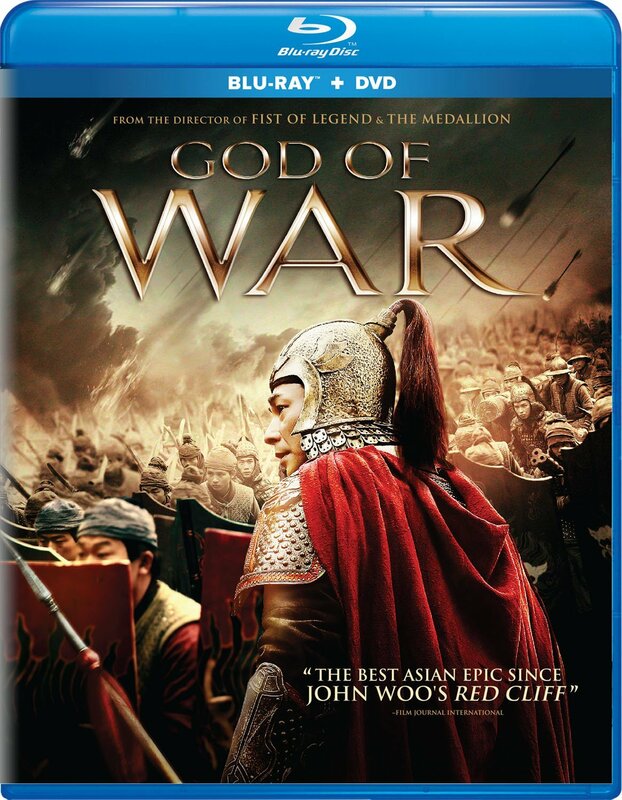 If only Zhao were able to be as compelling in the drama as he is in the action, God of War may have been a great film rather than just a good one. The Blu-ray release comes with a DVD copy as well, though high definition is certainly the best way to see the film. This is partially due to the explosive action in many scenes, but also because of the high level of detail that can be found in the production design of nearly every shot. There are also more than a few computer effects added in, and CGI always tends to look better in high definition. The bonus features on each disc includes a making-of featurette and the film’s trailer.